TV3 Sports Journalist, Juliet Bawuah, has had a day’s interview session with Italy-based AC Milan, and Black Stars player, Sulley Muntari. 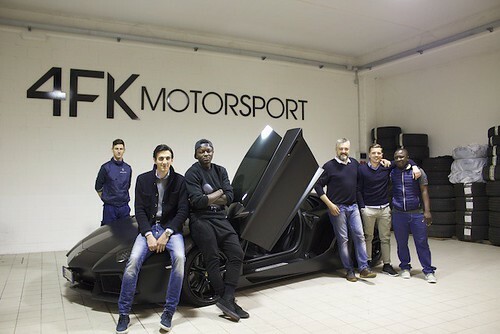 The session took place at Muntari’s popular 4FK Motorsport car company in Milan, recently a popular destination for some of football’s biggest names. She was there at the invitation of the Muntaris. Bawuah, who is rounding up a six-week European study exercise, took time off to interview the Ghanaian player. The interview largely centered on the Black Stars, AC Milan, as well as on the upcoming World Cup in Brazil. He also spoke on the car company, and how well it is doing so far, revealing plans are far advanced for a high-end outlet to be opened in Ghana. A study exercise that took her to the Netherlands government funded RNTC in Hilversum, she spent most of her weekends interviewing Ghanaian players abroad. She interviewed the newly crowned Vitesse Arnhem player of the Season, Christian Atsu, Belgium based pair of Bernard Yao Kumordzi, and Daniel Opare, as well as Abdul Majeed Warris. Muntari’s interview will soon air on TV3. 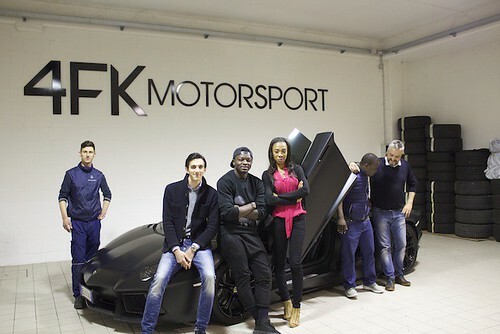 Sports Journalist Juliet Bawuah interviews Sulley Muntari @ his car 4FK motor company | See Photos 0 out of 5 based on 0 ratings. 0 user reviews.